Our Listing – UNDER CONTRACT IN ONLY 3 DAYS!! We have buyers ready to consider your house right now. We can price your house as-is, or what it would sell for with upgrades. The market typically gets flooded with inventory in spring. It’s a Sellers’ Market NOW so why wait!? CALL US TODAY for a free market analysis and expert advice. (770)-971-5660. 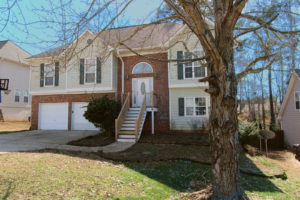 "Following recommendations provided by Tina and Leon, the house went under contract in 6 days for 97% of list price. Needless to say, I was very satisfied."